Tech conferences come and go, but Enterprise Connect (EC) has some impressive staying power. Remember VON, Enterprise 2.0, Web 2.0? All important, but relative flashes in the pan. 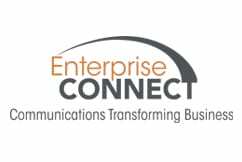 I’ve been attending Enterprise Connect since it was called VoiceCon. This will be the event’s 27th year. Before that, the big one I recall was the annual TCA (Telecommunications Associates) conference in San Diego. EC17 will take place the last week of this month, and I sense EC17 will a pivotal year. Transitions in enterprise communications take more than a year, but I think when we look back we will associate the turn with EC17. I’m confident Avaya will return to EC, but its reign officially came to an end. For as long as I can remember, Avaya has had a huge presence at Enterprise Connect. It was at the Engage big top event that I learned “scaled back” was a bit of an understatement. I’ve heard multiple explanations why Avaya pulled out, but I don’t think I know the full story. My experience with big conferences is fees get collected early, so the decision to pull out likely leaves paid space behind. Sure there’s some savings in reduced travel, but EC is a sales and marketing event and Avaya needs sales. All companies need sales, but especially companies in chapter 11. Earlier this month Avaya filed court documents that stated “competitors have seized the debtors’ reorganization efforts as part of a public campaign to poach customers and undermine market confidence in [Avaya’s] restructuring efforts.” Pulling out of the largest industry event of the year also undermines market confidence in the restructuring effort. Not attending a conference may not seem noteworthy, but Avaya has always been so visible at EC over the years. There was the giant Avaya banner hanging from atop the atrium, the front-and-center expo booth, the keynote presentation, the receptions in the Orange Blossom room, the Avaya sponsored bridge between conference and hotel, and an army of red-shirts in the booth. Avaya will be at EC informally including participating on panels. This will be the first EC for me with such a negligible Avaya presence. An era has ended. Companies and speakers change, but I can’t recall a prior year where every EC keynote speaker was new. Returning presenting companies are Cisco and Microsoft, but with first-time presenters. The other two keynotes are coming from Twilio and Amazon – anyone call that two years ago? Presenting for Cisco is Jens Meggers a CVP from Cisco Collaboration that reports to Rowan Trollope. I expect Meggers will continue that narration that Trollope began at EC14. On the other hand, Microsoft will likely present a very different keynote this year. For the past ten plus years Microsoft used EC to update all of us on (what is now known as) Skype for Business. Most of these keynotes were delivered by Gurdeep and Zig. This year the EC keynoter is Ron Markezich, an O ffic 365 CVP. I never heard of him either. I can’t find him on Bing searches that include “Skype for Business.” Though a quick swap of search term to “Microsoft Teams” yields results. Microsoft Teams is a new workstream messaging solution that Microsoft unveiled last Fall. Teams is officially in preview, though available to O365 users. The Verge reports GA can be expected March 14. I expect Ron to mention Skype for Business, but I don’t think that will be the main topic. Regarding the other keynotes, CPaaS and the API economy were strong themes last year. I think a lot of this can be attributed to the success of Twilio, It will be great to hear from Jeff Lawson, founder and CEO of Twilio. I have no idea what to expect from Amazon. Chime surprised me, as did Amazon’s move to acquire Biba last year. It would be nice if Amazon makes its enterprise strategy clear, but that might be too much to ask. Amazon doesn’t fail at many things, but I will remind you that one of its most spectacular failures was indeed in telecom (the Fire Phone). For almost 20 years EC has been about UC. You know the drill: work anywhere, from any location, on any device. Make work calls from your cell phone. Save millions on SIP, click to join a video conference, and more recently do it per user per month. It has been a nice evolution that started with unified messaging. It’s been a consistent trajectory that unfortunately may have run its course. Suddenly, few UC companies are really talking about UC any more. They talk about workstream messaging, agility, CPaaS, digital transformation, customer engagement, etc. The value proposition, underlying technology, business models, and more are all changing. The big two are worksteam messaging and CPaaS. The jury is out if these represent the next era or if they are just precursors to something even bigger. Other than Unify, the UC camp was late to the workstream party. Cisco came soon after Unify, but the real rush occurred last year with new workstream messaging solutions from BroadSoft, Microsoft, Mitel, Avaya/Zang, Fuze, and ShoreTel. Workstream messaging is actually unifying communications better than UC did. The question is will the UC industry win or lose from its emergence? Related: See UC for Reals. It’s a similar story for CPaaS. In just the past few years it moved from esoteric topic for a different type of nerd, and now it is a prevalent theme across EC17 panels and presentations. An annual event such as a conference offers an interesting snapshot opportunity. EC provides a particularly strong snapshot because there’s so many consistent variables: it’s still the largest industry event of the year, it’s still in the same location, and it still takes place in March. Every year the snapshots reveal incremental changes with the rise and fall of technologies and vendors. But I don’t think EC17 will be so incremental. Not only has both agile development and cloud services enabled unprecedented flexibility, but virtually every piece of the puzzle is in motion.